Happy Khmer New Year ! | SOMA Construction & Development Co., Ltd.
សួស្តីឆ្នាំថ្មី ! ពីក្រុមគ្រួសារ SMCD មានកិត្តិយសសូមគោរពជូនពរជ័យ សិរីសួស្តីមហាប្រសើរ កើតមានដល់លោកអ្នកនិងក្រុមគ្រួសារ ក្នុងឪកាសចូលឆ្នាំថ្មី ឆ្នាំកុរ ឯកស័ក ព.ស. ២៥៦៣៕ Happy Khmer New Year ! 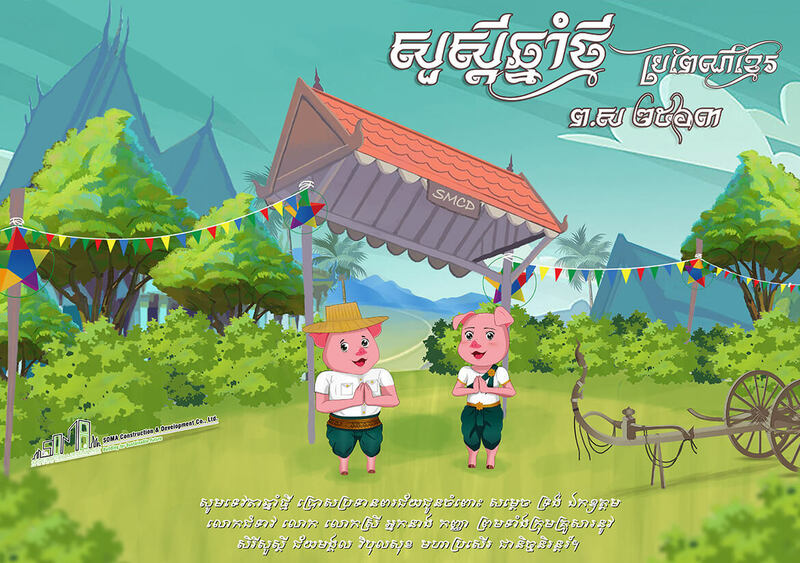 We would like to send all the best wishes to you and your family for this Khmer New Year. From all of us at SMCD Family.